I’ve been to Meknes (مكناس) more than a dozen times, but as with anything too common, it means I never truly appreciated it. Most of the time, I was there for some sort of Peace Corps training or meeting, so the daylight hours were occupied and I never really had the chance, nor the inclination, to explore. Most of those visits were also at the beginning of my service when the cultural shock was still overwhelming, so I was much less likely to roam around. The limited wandering I did do during those visits, left me nonplussed. Even though I knew it was a UNESCO World Heritage site, I mistakenly thought it was only the medina area and the large door, Bab Mansour, adjacent. After having seen more than my share of Moroccan medinas and ornate doors, the prospect of another medina was less than enticing and the door, although somewhat interesting, was just another door.. I’d meandered through the area off and on, but never thought to explore beyond the giant door and into what I’ve learned in the interim was the former Imperial City. I’ve been been away from Meknes for awhile now. 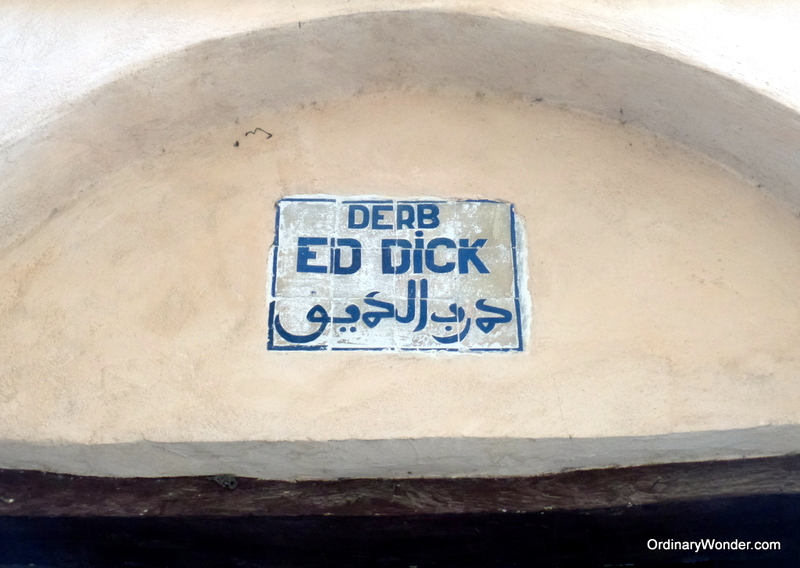 Over the last year or so, I usually pass straight through in my way north to the Moroccan capital, Rabat. In my mind, I thought, “Been there, done that,” so I never thought to stop. The trips north are always quite long, often hot, and take an entire day. Usually, I just settle in for the long haul and bear it as best I can, but this time heading up, I decided to stop and give Meknes another look. Doing a little research ahead of the quick overnight, I realized that I’d missed the point entirely. 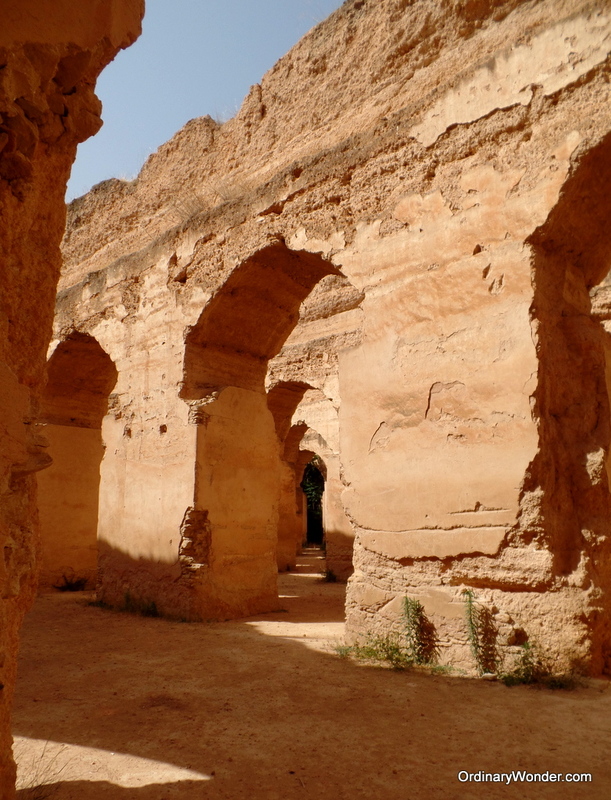 Meknes is not about the old medina, or the door for that matter, it’s about it’s short stint as the capital of Morocco under the rule of Moulay Ismail Ibn Sharif, second in line of the Alaouite dynasty that still rule Morocco. Throughout much of Morocco’s history, except more recently during the last century when the capital was moved to Rabat, the designated capital has vacillated between Marrakesh in the southwest and Fez which is more mid-north. Moulay Ismail, unhappy with the ongoing political struggles within Fez, set about building a new Imperial City from the ground up. That sort of massive undertaking requires tremendous amounts of labor. Thankfully, he had thousands of Christian slaves to do the work. The Barbary Pirates, as they were called, were notorious both within the waters of the Mediterranean and along the Atlantic coasts of Europe and Africa as ferocious fighters and able seamen. Much feared, the regularly invaded coastal towns abducting people for the lucrative African slave trade and for labor within the Kingdom of Morocco. The sultan was skilled at employing mercenaries to do his bidding. He engaged 150,000 sub-Saharan soldiers as his renowned Black Guard and also assembled the famously feudalistic Rif peoples into a united military force. Not only was Moulay Ismail a clever and successful ruler, he was reputed to also be the father of as many as 1042 children, second only to the immortal Ghengis Khan who is alleged to have as many as 2,000 making him the ancestor of an estimated %0.5 of the world’s population! 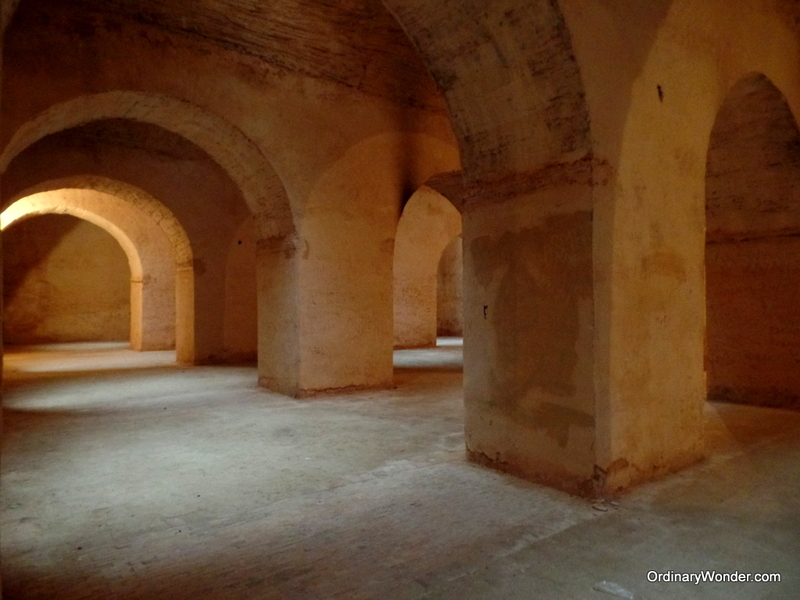 Within the walls of the former palace lies a massive reservoir used to store and deliver water to the irrigation systems for the farms that supplied the city. According to legend, he not only used the water as a means of supply, but also would withhold it as a means of coercion to keep his subjects at bay. Within the main storage building, there are ten horse drawn well pumps which would supply the reservoir. 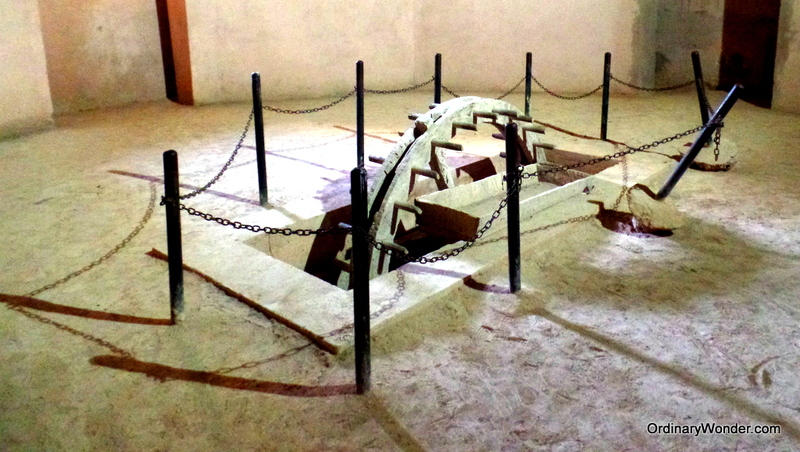 Also within this massive building was stored the grain and supplies for the thousands of horses maintained by the sultan. According the security guard/guide who I convinced to let me in early before in became crowded, Moulay Ismail had around 10,000 horses. He was a bit of a fanatic about them, so their upkeep was of paramount importance. Not only did each horse have several slaves dedicated to it’s care, but the stables were designed so that the horses could see each other so as not to feel some companionship and so that the sultan could gaze upon them. All told, I’m glad I took the time to reconsider and revisit Meknes. Even though it’s a larger city, the older areas are interesting and beautiful. It was a good reminder to re-examine old feelings and beliefs, to take a chance at rediscovery. Below are more images of my exploration within the old Imperial City.